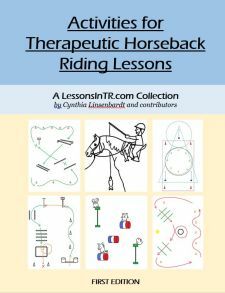 This lesson teaches several Gymkhana pole bending patterns. 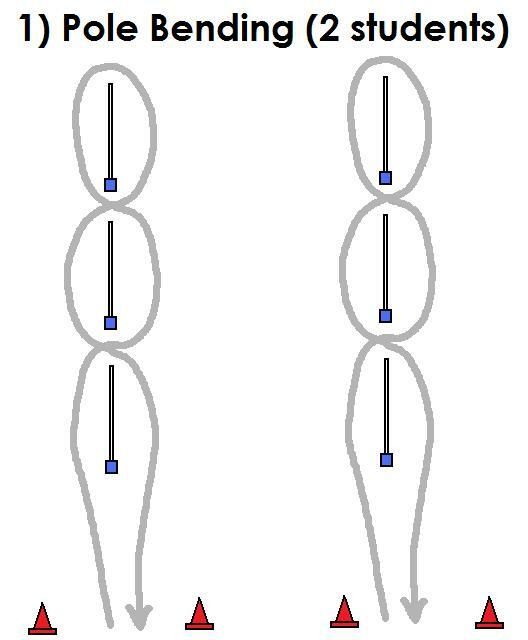 Warm Up – Basic Pole Bending (See picture 1 below), weave the poles down and back. Do 1x. 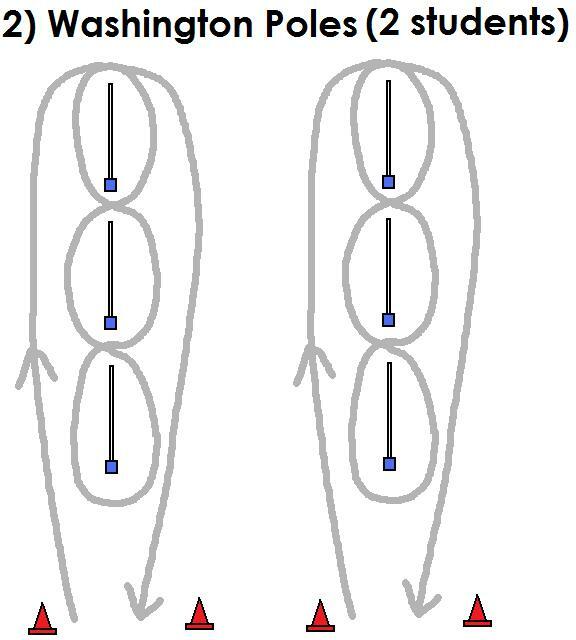 Washington Poles – (See picture 2 below). 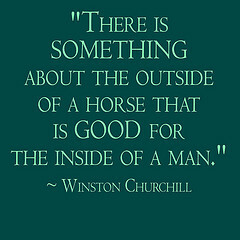 Explain. Show a picture or use whiteboard if needed. 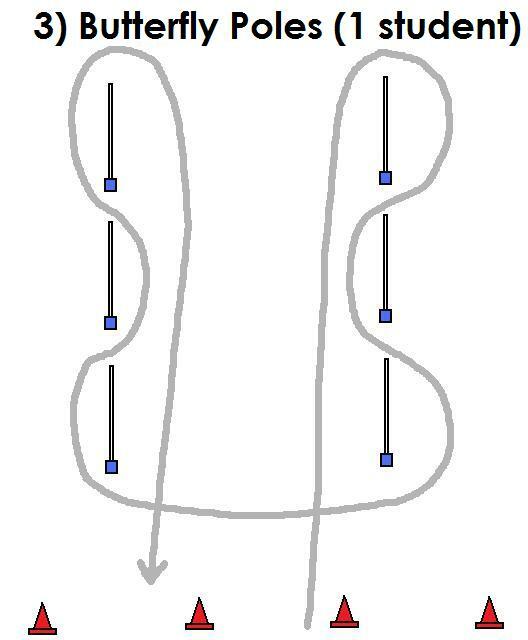 Butterfly Poles Pattern – (See picture 3 below). Explain. Show a picture or use whiteboard if needed. Practice – Follow each other for this pattern, or one at a time. I kept them to a walk because it was near the end of the lesson. Do 1x. Student will demonstrate direct rein steering with the leader 3 ft away for half the lesson with no verbal prompts. Student will demonstrate 2 point trotting 2x with a leader, ankle hold, and no verbal prompts. As shown, progress from simple Pole Bending, to Washington Poles, to Butterfly.